In most of her portraits, Sarah Josepha Buell Hale, the reason we celebrate Thanksgiving in America, looks stern. Gentle, but stern. She was an editor, but befitting a woman of her era, she employed the term, “editress.” From age 33 until her death at age 90, she wore black, which designated her as a widow in mourning from the day her husband died until the day almost sixty yeas later that she was to join him. Hale was the editor (“editress”) of Godey’s Lady’s Book, a pre-Civil War monthly magazine that sometimes topped 100,000 in circulation. It was a popular periodical and she was an influential person. She held the job for forty years, and finally retired in 1877 when she was almost 90. Her legacy as editor is a mixed one: she wrote and published articles in favor of advanced education and employment opportunities for women, but her publication (and she herself) did not support women voting. 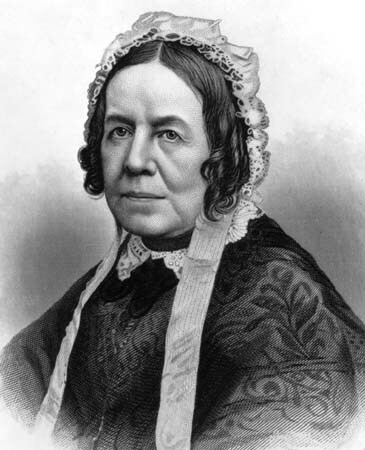 Gentle, but stern; she was anti-slavery and pro-North and pro-Union (she was a New Englander) but anti-war. Around the time she wrote that poem, 1831, her portrait was painted by James Lambdin (no relation to Mary’s pet). Lambdin painted the portraits of two U.S. Presidents who were also among the first ones ever photographed. 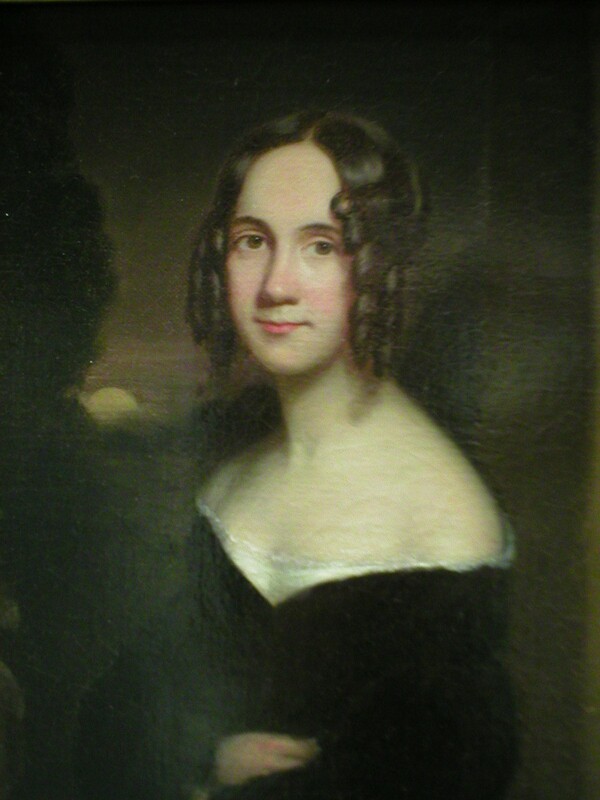 The verisimilitude of his portraits is borne out by the photos of the presidents, so his portrait of young Sarah Hale, already in her mourning black, must be true to life as well. There she is: gentle, but serious. When the idea of a campaign for a national Thanksgiving holiday came to her, Hale became relentless about it and she marshaled all her resources. She was already a successful fundraiser: she had organized supporters to see the Bunker Hill Monument completed. She was one of the founders of Vassar College in my hometown of Poughkeepsie, New York. As with those causes and campaigns, Hale knew that persistence would win, eventually. Thanksgiving days and harvest days are common around the world, but it was always a grab-bag and a bit of a movable feast in America. The Spanish settlers in St. Augustine, Florida, are believed to have held a celebration feast with the local Native Americans in September 1565. Up the coast, the first Pilgrim Thanksgiving in 1621, or later, was probably celebrated in September, also. The Pilgrim William Bradford’s famous journal, Of Plymouth Plantation, which covers the years from around 1630 to 1650, recounts that first Thanksgiving and is a source of imagery for our collective cultural memory of that day, but it vanished during the Revolutionary War and was not found or generally known about until 1897. It may as well be considered a twentieth century document that we employed to re-affirm what we were already telling ourselves about ourselves. Finally, in 1863, the Lincoln Administration saw the brilliance of having a national day of thanksgiving: The Civil War was going to end sooner or later, after all, and the nation, north and south or only the north alone, was going to need unifying sentiments, a healing reminder of gratitude, even a new national holiday that was neither of the north nor of the south in its mythology but newly created for the more strongly united United States of America. The first modern Thanksgiving was proclaimed for that year, 1863, and it has been a national holiday since. Hale was 74 years old that year. Sarah Josepha Buell Hale: Stern, but gentle. Thank you, Martha. I’m glad we share Sarah Hale appreciation. Thank You, was pretty educational for a non-US citizen like myself! Thank you for the comment! I hope it was fairly clear to follow.